Bromsgrove Festival chairman Mary White tells how the event will celebrate the composer’s birth and the talent of young musicians. Late April and early May is the time for the annual Bromsgrove Festival, when established and well-known artists perform in Bromsgrove alongside talented young musicians. The latter are included both in the main programme and in the Bromsgrove Festival International Young Musicians’ Platform. This is a competition for any instrument (except organ) for an age range of 17 to 25, rising to 28 for singers. The standard is impressive and the Finalists’ Concert on the Sunday evening is an event not to be missed. Some of the competitors need to stay in the district for two or three nights and we are grateful to interested, kind, local people who give them free hospitality. If you would be interested in doing this another year, let us know. 2007 is the 150th anniversary of the birth of Sir Edward Elgar, and it therefore seemed appropriate to feature the works of this distinguished Worcestershire composer, whose sister once lived in Bromsgrove. In doing so, we welcome the return of Dr Donald Hunt with the Elgar Chorale. It also gives an opportunity to feature three former Young Musician Platform finalists – Mark Bebbington, Guy Johnston and Alexander Sitkovetsky. Mark is to play a transcription for piano of Elgar’s 1st Symphony. This first great English symphony had around 100 performances in Europe in its first 12 months. This success created a demand for a piano transcription for home use, which was produced with Elgar’s approval. We repeat a “salon performance” followed by supper. Guy Johnston, Bromsgrove’s second-prize winner in 1999, became the BBC Young Musician of the Year 2000, and played the Elgar Cello Concerto at the televised First Night of the Proms in 2001. He will play the Concerto again in the Artrix on April 28. Alexander Sitkovetsky, our 2006 first-prize winner, was much influenced by Lord Menuhin. Alexander was born in Russia in 1983, and in 1990 was invited to join the Menuhin School. During Menuhin’s lifetime Alexander performed the Bach Double Violin Concerto with him and in 1996 the Mendelssohn Violin Concerto in Budapest with Lord Menuhin conducting. It is particularly appropriate that he should be performing the Elgar Violin Concerto as Yehudi Menuhin performed it at the age of 15 under the baton of Elgar himself. There are other concerts to enjoy – John Williams playing his classical guitar with John Etheridge on an electric guitar; a most interesting blues programme by the talented Wayne Marshall and Matthew Trusler; and a piano recital by Andrew Brownell, a 2006 Leeds Piano Competition prize winner. North Bromsgrove High School, whose music department is very active, return with their Spring Concert. 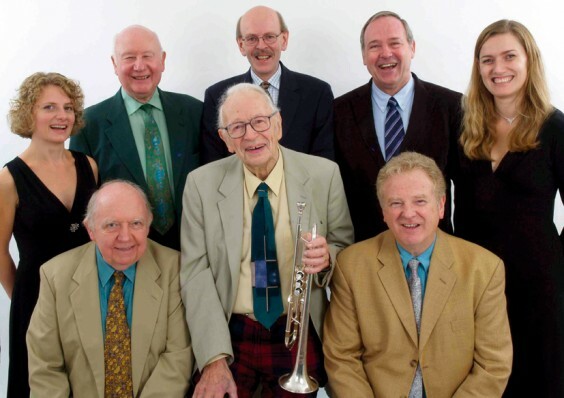 Another highlight is an appearance by Humphrey Lyttelton (above) with Tina May. “Humph”, in his 85th year, continues to amaze audiences 47 years after he appeared in the very first Bromsgrove Festival in 1960. The Festival also has an interesting fringe featured elsewhere. It includes the “Battle of the Bands”, the annual competition for local rock bands, and a concert by Trigger on the final evening at the Artrix. Bromsgrove Festival, having no paid staff, continues as it commenced – dependent upon a core of honorary, hard-working, willing volunteers, allowing us to bring these wonderful artists to Bromsgrove.